'The Mess He Made,' a short film with sound design by yours truly, will be having its world premiere at SXSW, taking place in Austin, Texas, March 10-19. The film is written and directed by Matthew Puccini, with cinematography by Brandon Roots (King Jack). Congrats to everyone involved! 'Late,' a short film for I'm the director of photography, has successfully raised its $15,000 goal on Kickstarter and will start production on February 11. Please consider donating to the Kickstarter for 'Late,' a short film written by Tatianna Baccari. The film details the experience of a young woman after she misses her birth control pill and worries about the consequences throughout the day. The film will be directed by Matthew Echelman, with cinematography by Will Mayo. AN CRANN, written and directed by Emma Carlson, cinematography by Will Mayo, will be screening this March at the The Boston Irish Film Festival! AN CRANN, directed by Emma Carlson, with cinematography and sound design by Will Mayo, will have its world premiere in March 2016 at the 17th edition of the Chicago Irish Film Festival. Specific times/dates to be announced in the coming months. Emma Carlson is out of town, so Will Mayo will be representing the film. COME SEE THIS LOVELY FILM! THE RED CARD, with cinematography by Will, is an official selection of the 2015 HollyShorts Film Festival. The film was also nominated for Best Short Film at the Female Eye Film Festival in Toronto. 'An Crann,' with cinematography by Will, has received a $3,000 student filmmaker grant from the National Board of Review. Cheers! 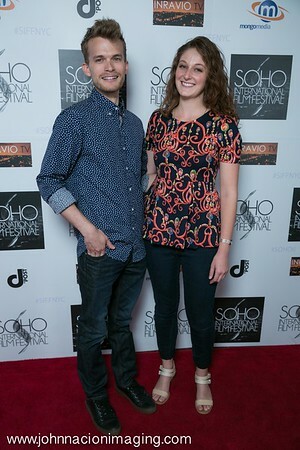 THE RED CARD, written, directed, and edited by Dana Brawer, with cinematography by Will Mayo, premiered today at SoHo International Film Festival. Thanks to everyone who came! Here's a photo of us on the red carpet. Will Mayo and Emma Carlson chat about future prospects. Laszlo Santha (left), First Run judge, giving his judgement. 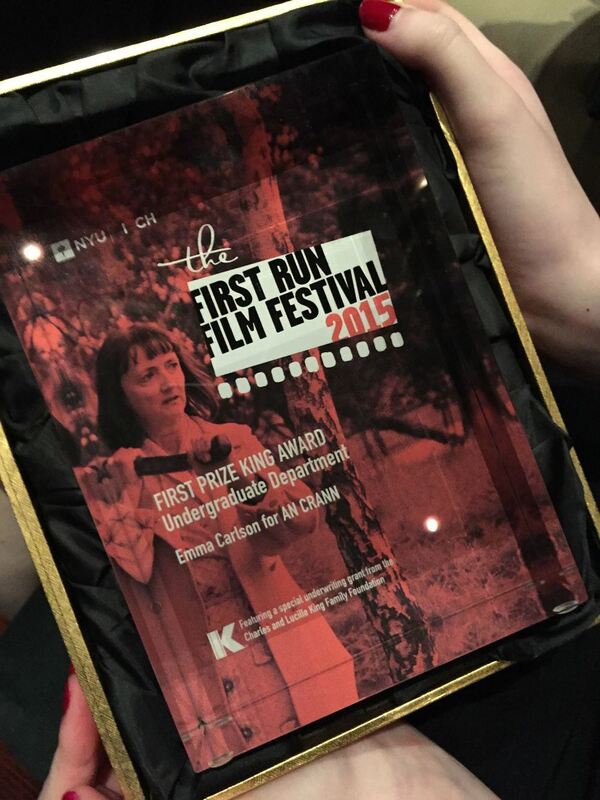 'An Crann,' an Irish-language short written and directed by Emma Carlson with cinematography by Will Mayo, received numerous awards at the NYU First Run Film Festival (2015), including the 1st Prize King Award (a $10,000 award), and awards for cinematography, screenwriting, acting, and production design. It was one of more than 60 short films!